Autumn has arrived, the leaves are changing, and soon they’ll begin falling. 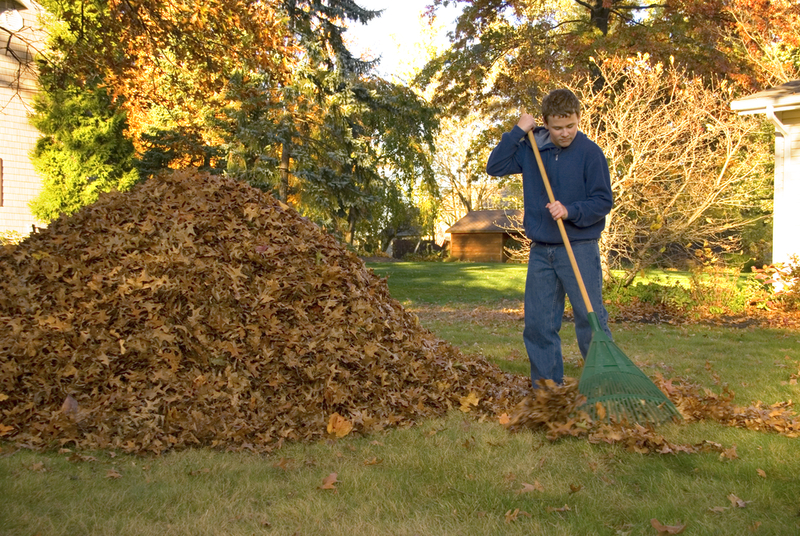 You may be surprised to find that raking leaves can lead to injury, as well as a trip to the chiropractor. Lifting, raking, pushing, and pulling all put strain on your muscles, joints, and spine, which is why you need to take care when sprucing up the yard. The tips below are a fantastic way to start and will ensure your property looks beautiful. Cool weather may be great for working outdoors, but it also means your muscles are tighter and more prone to injury. Make sure to spend 10 minutes stretching beforehand, especially if you haven’t been active. You can also take a quick stroll around the block to activate your muscles. When you’re ready, start slow so your body gets used to the motions and don’t exert too much force until you’re fully warmed up. Standing directly behind your rake is going to put continued strain on your back muscles, and you’re more likely to hunch for prolonged periods, which can hurt your spine. As with many chiropractor-related tips, good posture is the key to safety, so stand up straight and to the side of your rake, similar to how you use a broom. Your spine will be supported and you’ll find you won’t get as tired as quickly. Another tried-and-true piece of chiropractor advice is that you should always lift from the knees. Your thigh muscles are primed to handle heavy loads, whereas your spine and back muscles aren’t. When lifting any equipment or bags of leaves, squat down so your legs do the work. Make sure not to overstuff bags or attempt to lift anything outside of your abilities to avoid injury. Safe practices will ensure you get to enjoy the fall weather without issue. If you’re dealing with any existing complications, the team at Long Chiropractic can assist. Located in Mountain Home, AR, chiropractor Dr. Joseph Long and his skilled staff use the latest equipment and techniques to help with sports injuries, neck and back pain, and more. You can explore an extensive breakdown of their services online, and if you’re ready to schedule a consultation, call (870) 424-5853.